Poetry Reading with Tracy Youngblom — Eat My Words! 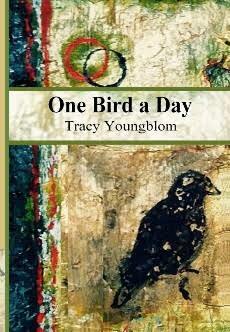 Tracy Youngblom recently published her third book of poetry, "One Bird a Day". These poems paint delicate backyard scenes of birds throughout the seasons, of life and death and meaning. Tracy Youngblom holds an M.A. in English and an M.F.A. in Poetry from Warren Wilson College. One Bird a Day is her third collection of poems, following Driving to Heaven (2010) and Growing Big (2013). In addition to two Pushcart nominations, her work has been selected for publication in many journals. Poems, stories, and essays have been published in Shenandoah, Wallace Stevens Journal, New York Quarterly, Big Muddy, Cortland Review, Cumberland River Review, DMQ, QU Literary magazine, Briar Cliff Review, and other places.